Living in South Georgia it is a constant battle to keep pest out of our home. We have 3 children, 2 inside dogs, a cat and a bird, so we also really do not want to set traps and put out poisons. 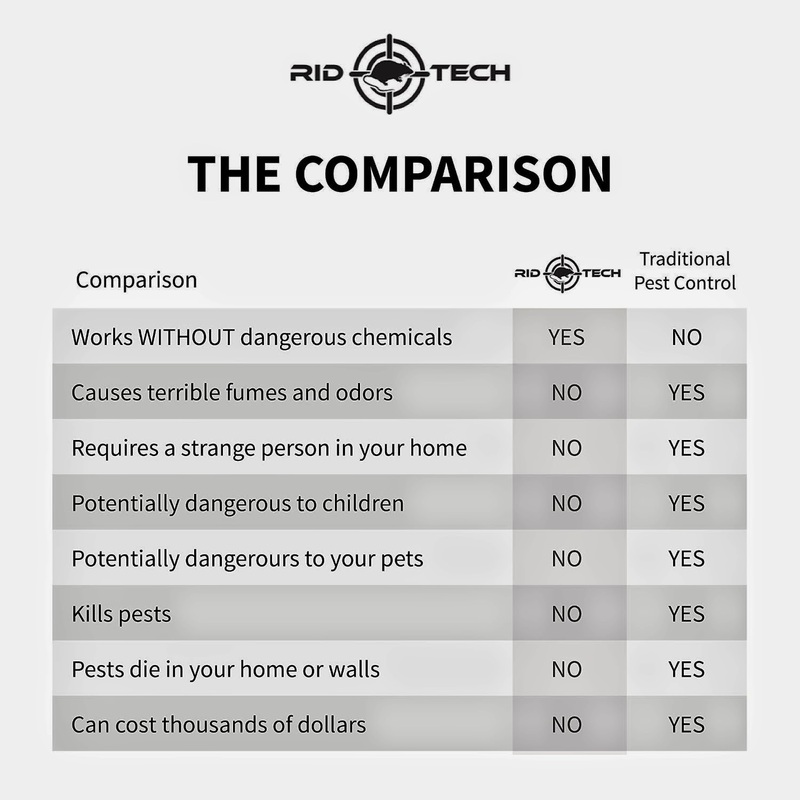 The Rid Tech Ultrasonic Pest Repeller was the perfect solution for my family. It's so easy to use, all you have to do is plug it in and it does all the hard work. It removes rats, mice, roaches, mosquitoes and other pest. Please know if you have a family pet such as gerbils, hamster, mice etcetera this would not be the product for you. This product is silent and does not admit any odors. When plugged in a led light will come on to let you know the unit is working. It's not heavy nor does it stick out far from the wall outlets so you don't have to worry about it taking up much room. One of the best things about this is that I don't have to worry about mice dieing in my walls and leaving that AWFUL smell in our house. 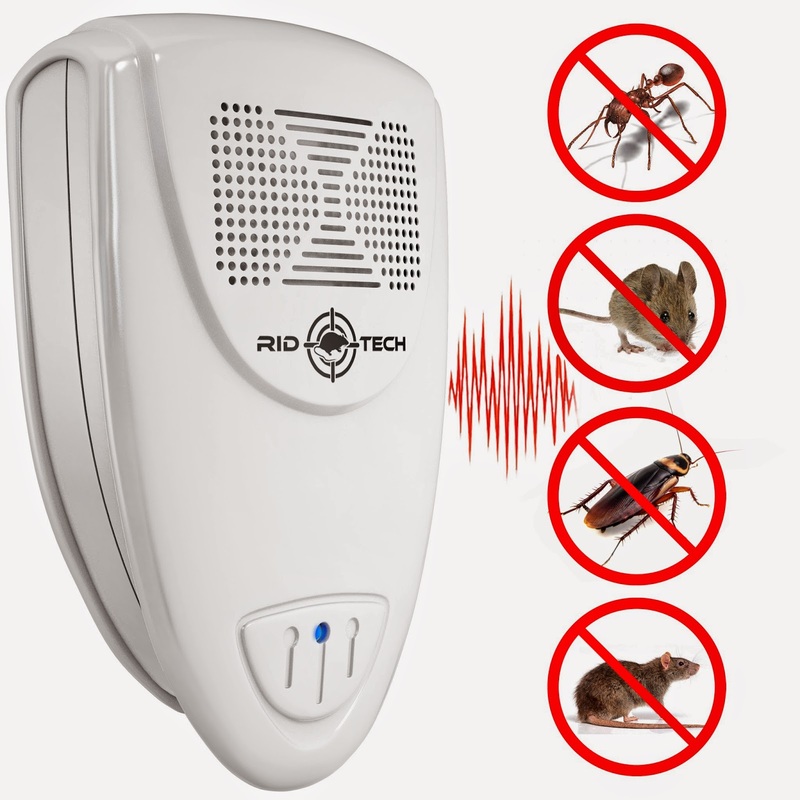 Rid-Techs Ultrasonic Pest Repeller uses state of the art ultrasonic technology to drive pests away. Plugged in to any standard household outlet Rid-Tech uses low fequency sound waves, inaudible to humans and pets, which drive pests out of your home for good. Repels Mice, rats, spiders, roaches, moquitoes, ants and mny other household pests.